We’re going to run the trail over a weekend. This weekend! Using the villages as feeding stations will allow us travel light and fast, carrying very little. The village just past the half-way mark will be our overnight point, where there will also be a huge dinner and breakfast waiting. Ultra-trail running has changed hiking for me. The concept of walking somewhere doesn’t quite make sense anymore. However, the infrastructure for long ‘walks’ – trails, accommodation and a supply of food – exist all over the world and often in some of the most spectacular settings. So there are many opportunities to connect that infrastructure and use it to travel light and fast – to use it to create ‘unsupported’ ultra-runs. I am fortunate enough to know a few people in Cape Town with a similar adventurous attitude. 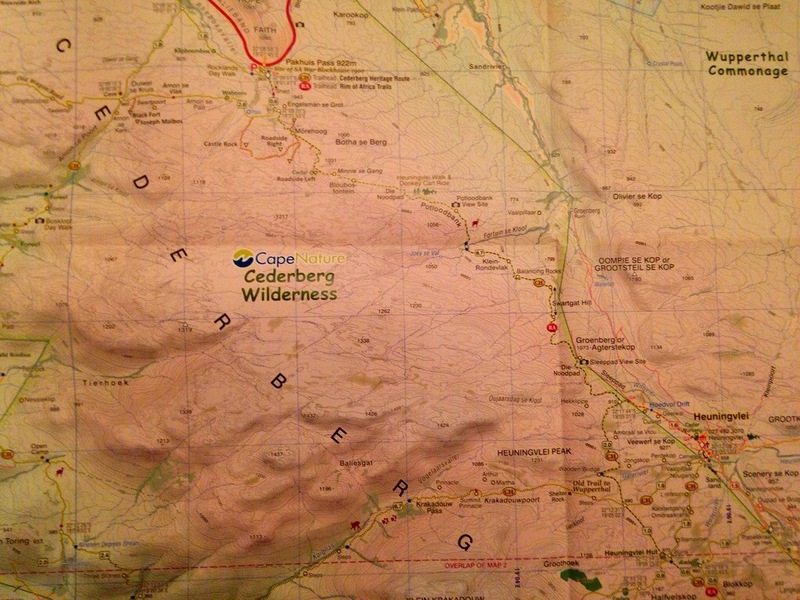 Six of them are joining me on the inaugural Cedarberg Grand Traverse. We will flick our headlights on and descend off Pakuis Pass into the dark during the early hours of Saturday morning, 12 April. Ahead lies 100km of mountains, rivers, villages, heat, interesting people and the unknown…adventure! A series of villages linking our traverse across the Cedarberg are awaiting our arrival with huge meals, pre-dropped food supplies and about halfway, somewhere to sleep. A pick-up is planned for late Sunday afternoon from the end of the trail to take us back to civilization and our cars. Well, that’s the plan – these trips (fortunately) seldom go according to plan. Already, the elements are against us. The current forecast is for a maximum temperature of 35 degrees each day and the minimum overnight doesn’t drop much from there.